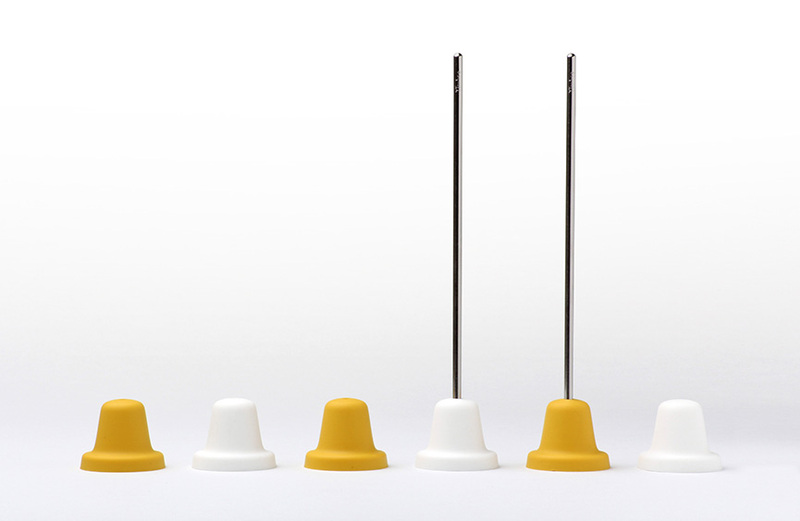 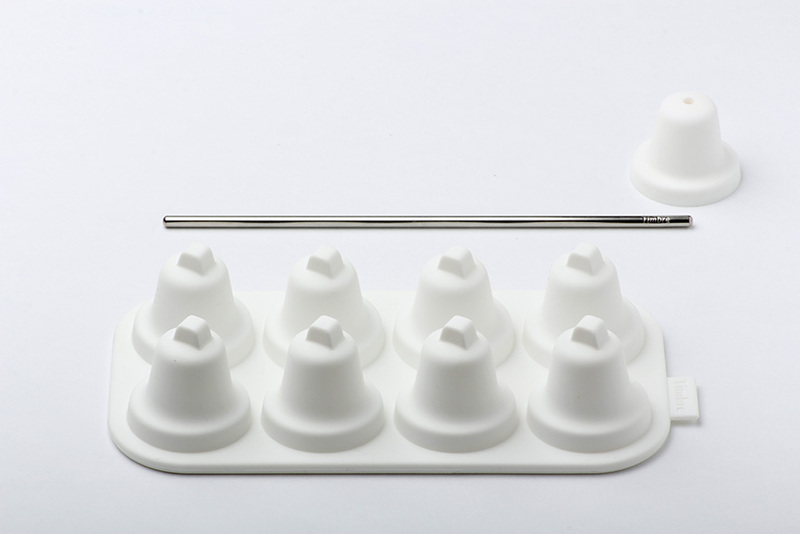 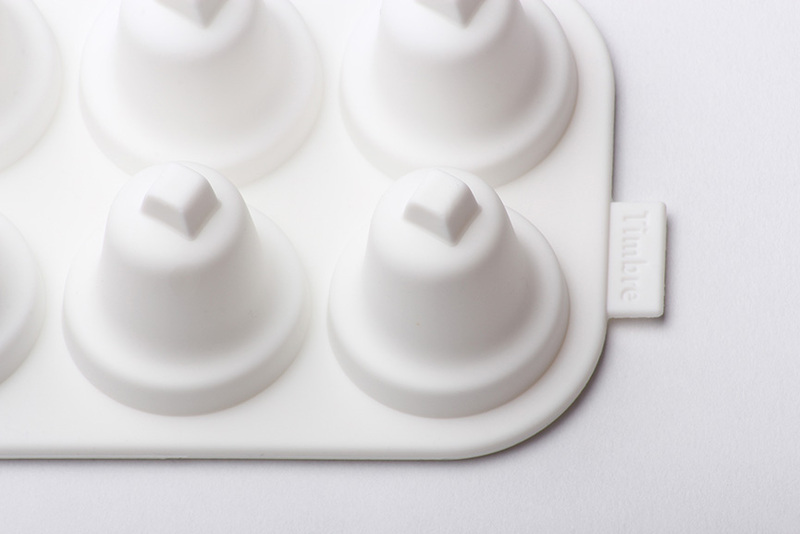 As an addition to the Timbre collection, we designed an ice tray that makes bell-shaped ice cubes and a special stirrer that rings the ice bells. 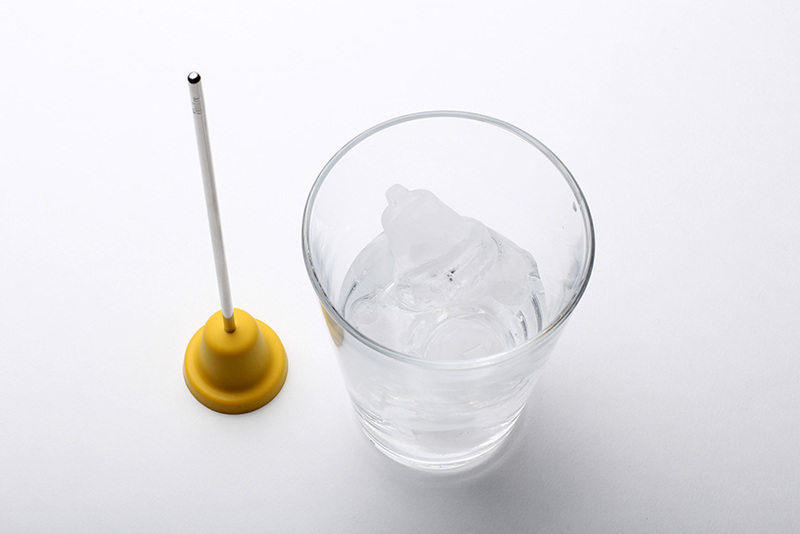 All you need to do is to pour a drink in a glass and put some ice bells in it to enjoy the sound. 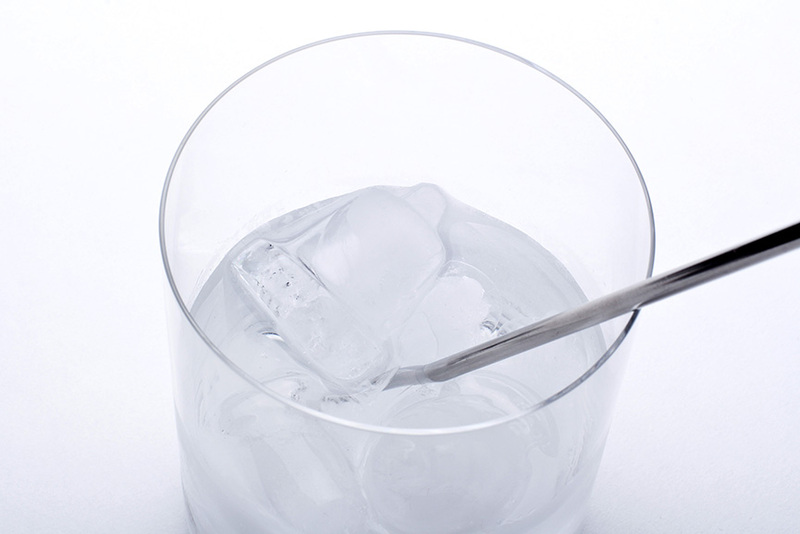 The volume of the ice cubes is closely calculated to melt slowly and to fit into the glasses of various sizes at the same time. 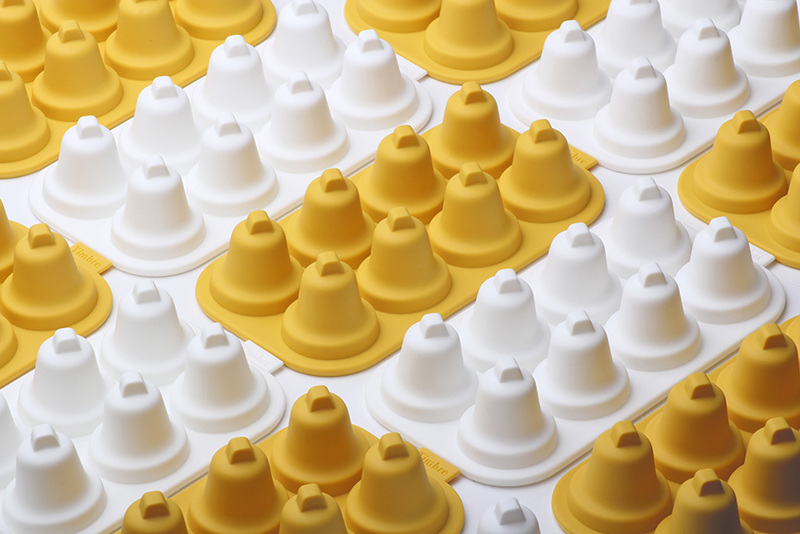 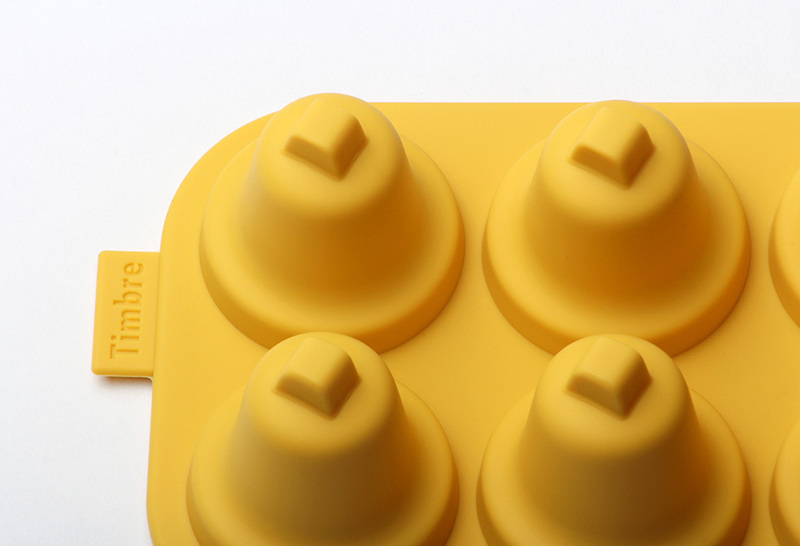 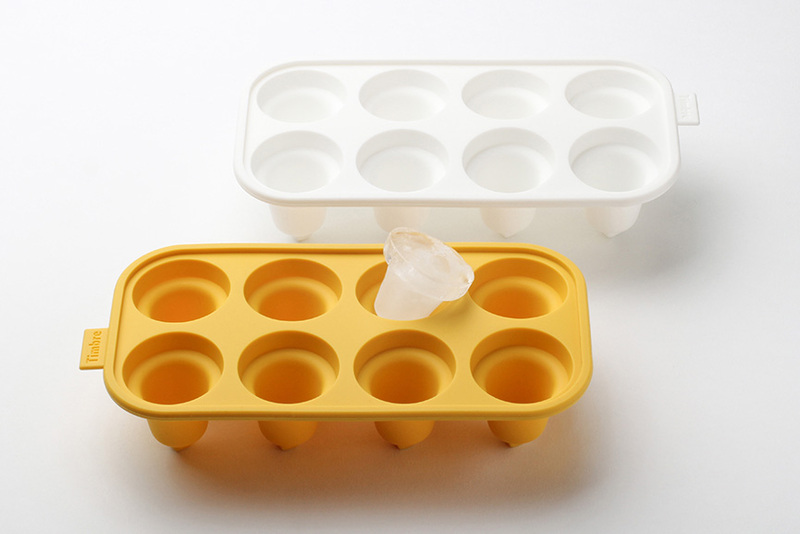 The tray is made of silicone to allow easy release of the ice cubes. 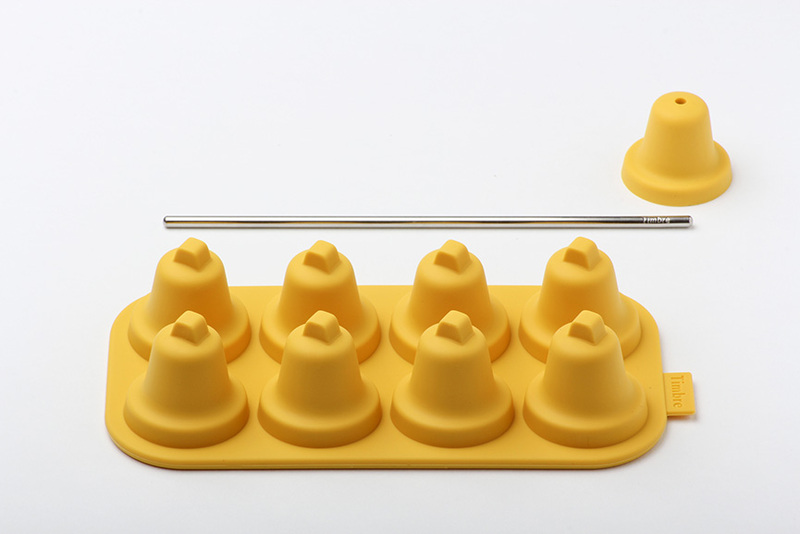 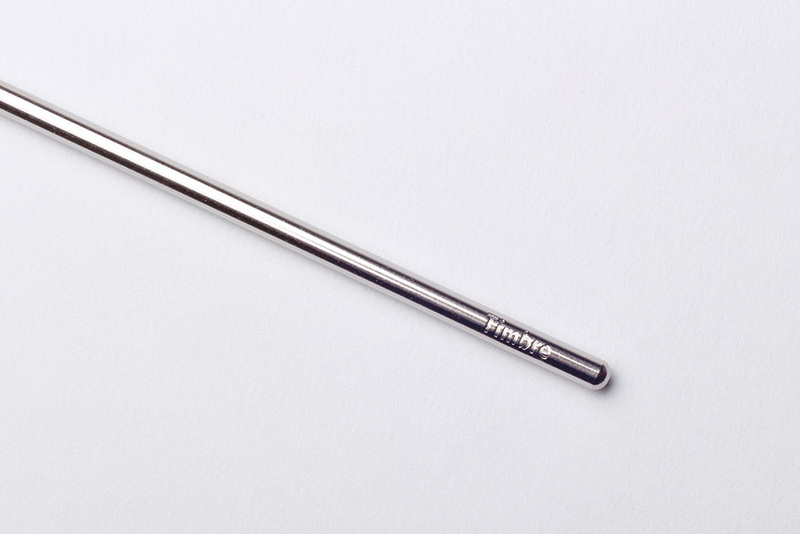 The handle of the stirrer, also made of silicone, allows the tool to a self-standing resting position. 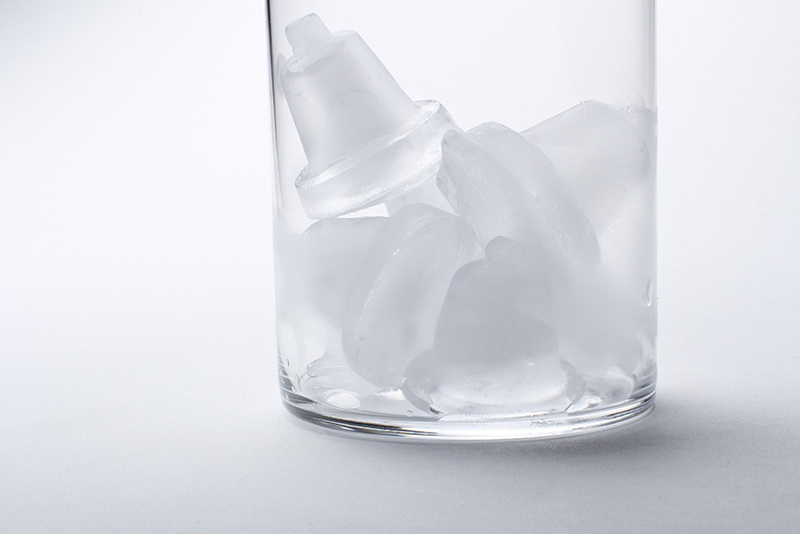 This is a chance to enjoy a peaceful moment and feel the pleasant sound of ice, something which is typically overlooked.